MAIS is a startup company, which is supported by Taurus Hard Soft Solutions Pvt.Ltd which has been in the software development arena for almost three decades. MAIS has talented and dedicated team. And the team has several years of mobile application development experience. One of the product from MAIS stable is SConnect. This is a mobile application for educational Institutions. This is a highly secured communication platform for teachers, parents and students. This product was launched 9 months back and has a user base of approximately 20,000. 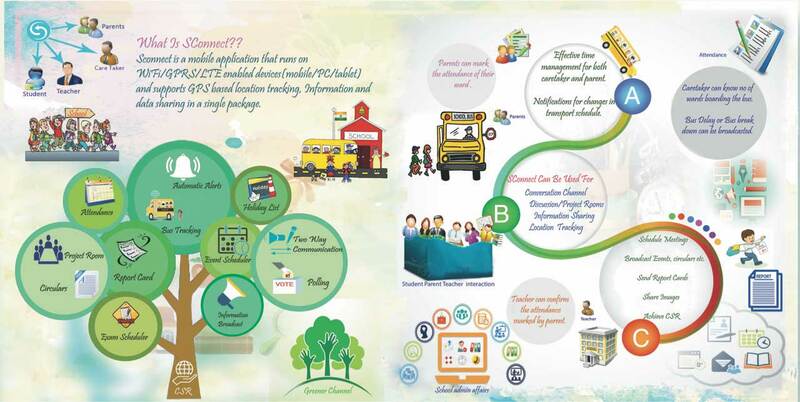 Some of the leading schools in Karnataka, Tamilnadu and Kerala are using this application. This is a boon to parents regarding their children’s security and a proper system for institutions for keeping all the records. Disclaimer: The information provided in this Notification is solely by Taurus Hard Soft Solutions Pvt.Ltd., Jagranjosh.com bears no representations or warranties of any kind, express or implied, about the completeness, accuracy, reliability, suitability or availability with respect to the information. Individuals are therefore suggested to check the authenticity of the information.